Rosh Hashannah, like all new year holidays, is a time to reflect on the past and consider the direction of the future. Briefly pausing from the busy lives we lead to contemplate our place in history is a humbling and worthwhile exercise. Thinking of the long course of history that has brought us to the present moment is a valuable tool we may use in weighing the decisions that will have consequences far into the future. 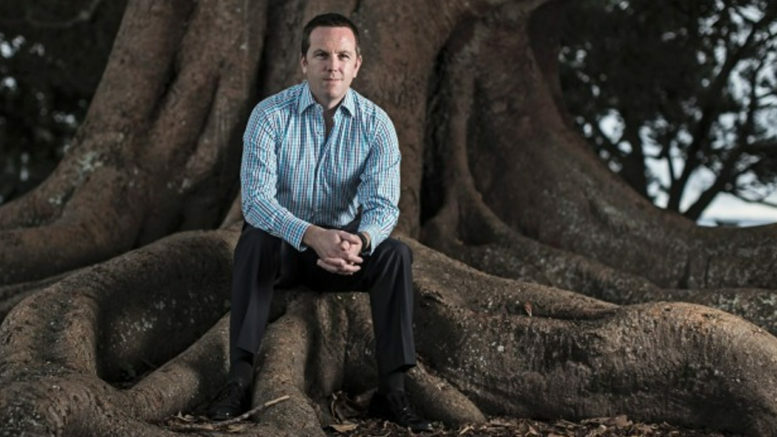 Of all the different communities that make up society in New Zealand, I feel that Jewish people are particularly blessed with an appreciation of history as the foundation from which they may build into the future. This year, Rosh Hashanah coincides almost exactly with a general election. New Zealanders across the country are being asked to determine the political course of the nation for the next three years and to shape its direction for many years to come. The future can be a source of trepidation, but the respective traditions and the cultures handed down to each of us are a source of strength. These timeless values have proven their worth throughout history and are the surest hope that we can build a better future for ourselves, our communities, and the wider world. 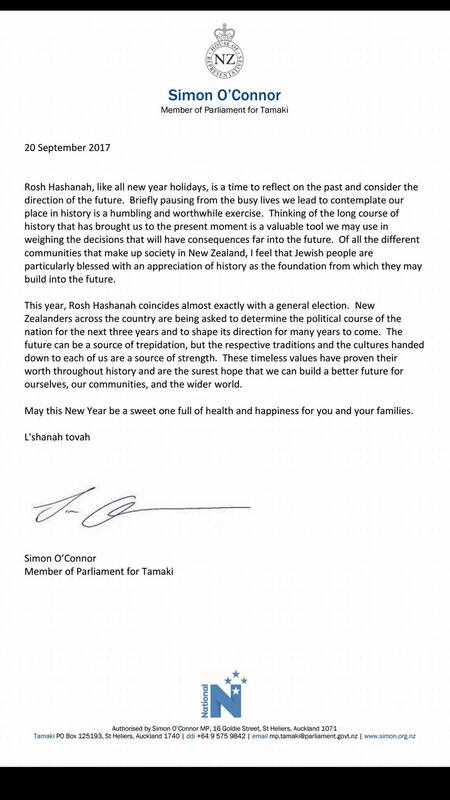 Minister O’Connor once again distinguishes himself as the only New Zealand leader to wish the Jewish community well for the New Year.